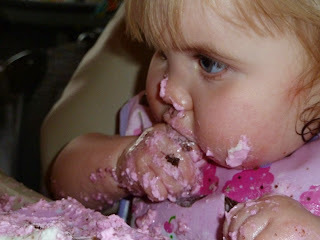 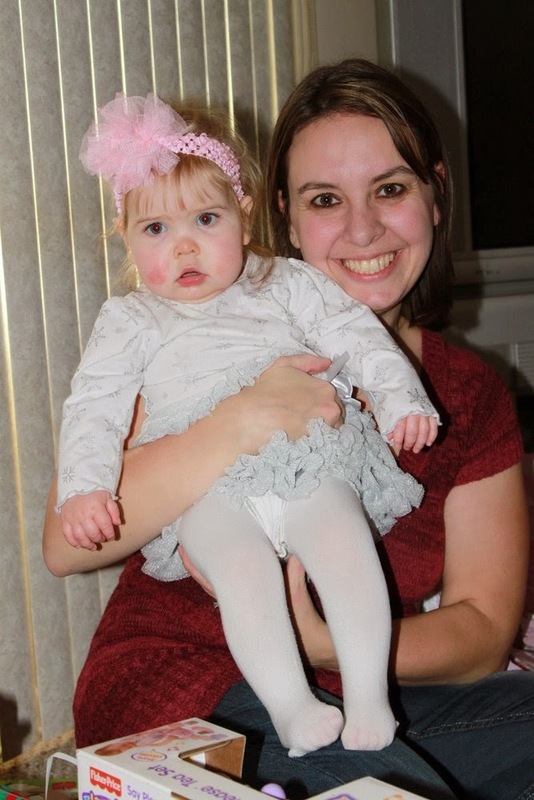 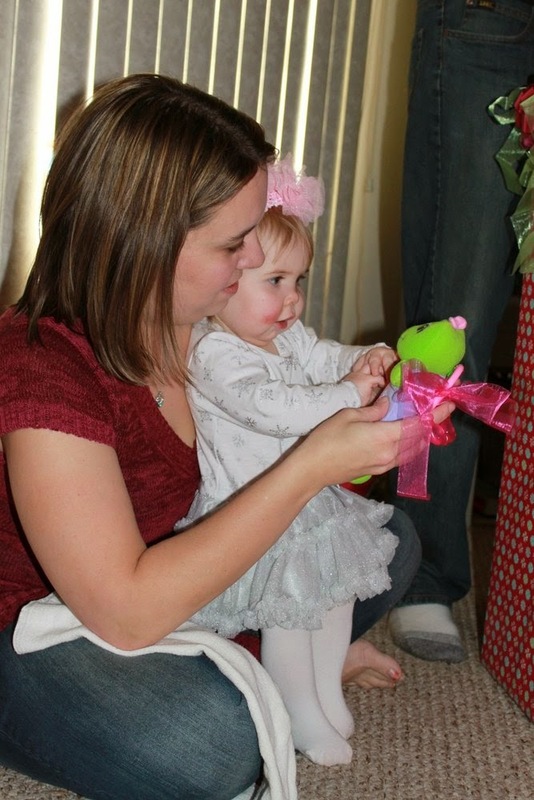 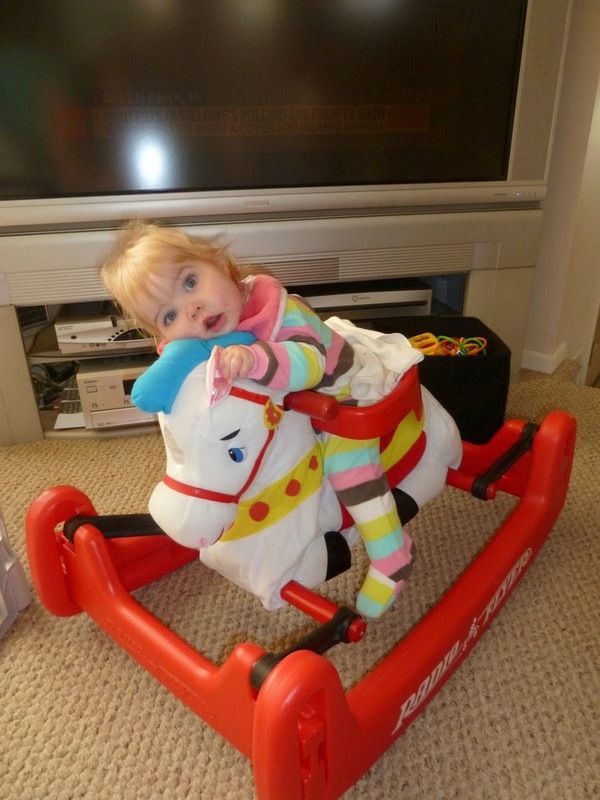 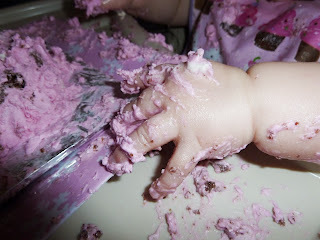 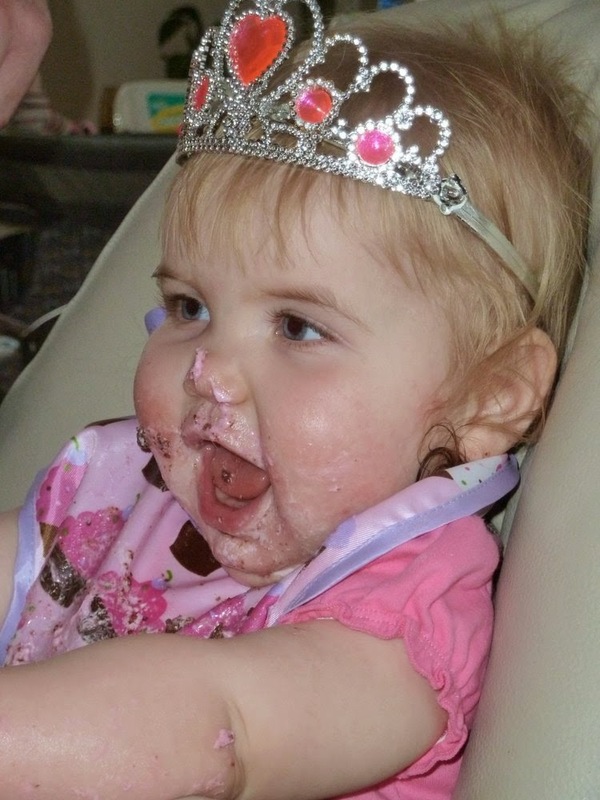 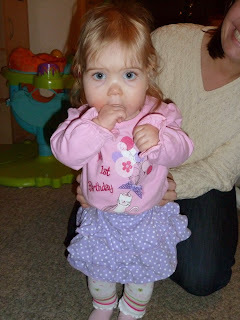 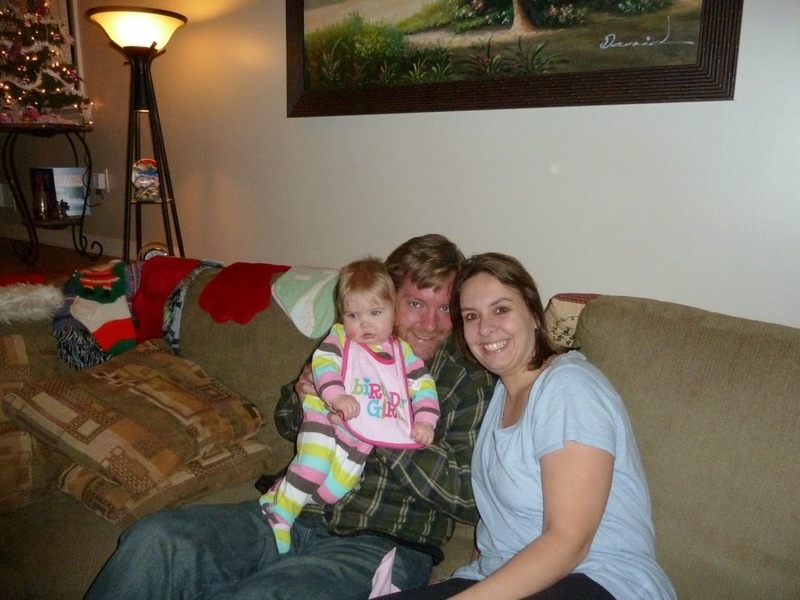 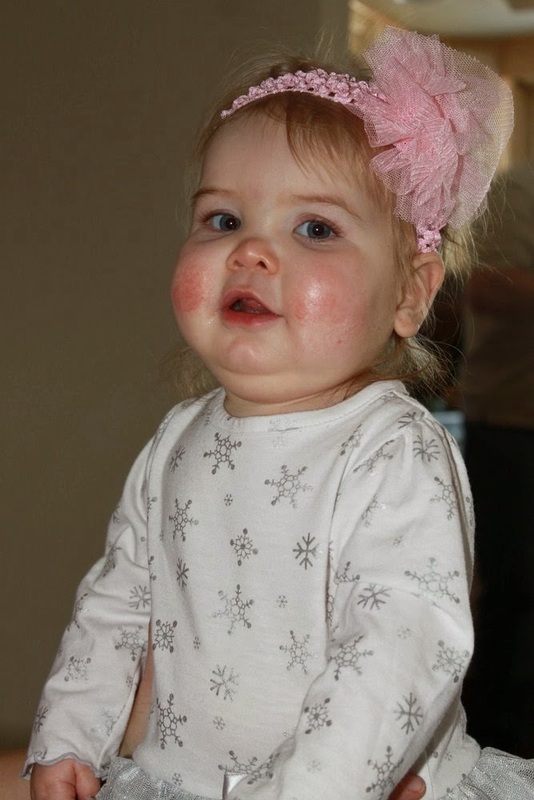 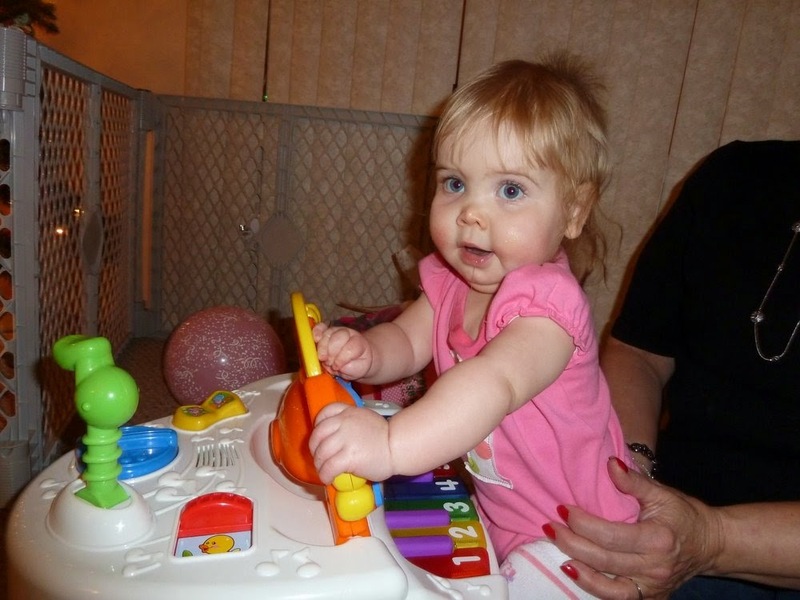 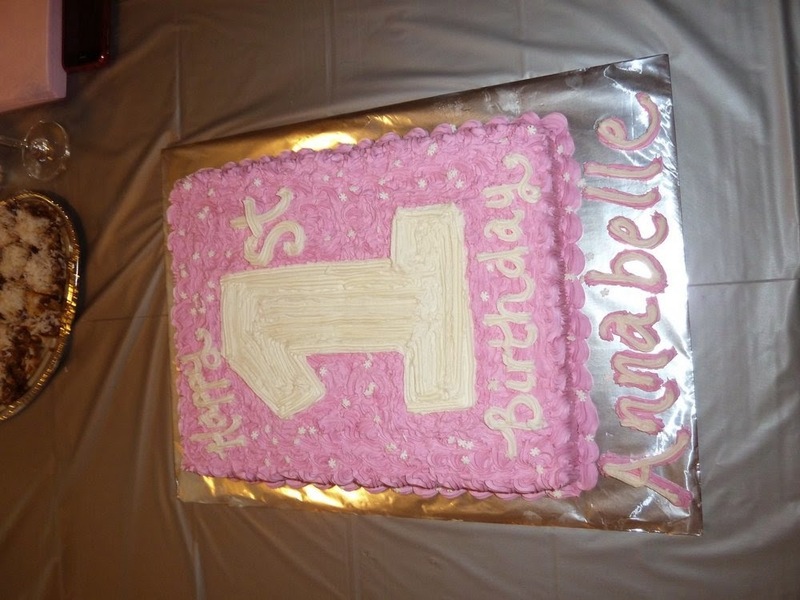 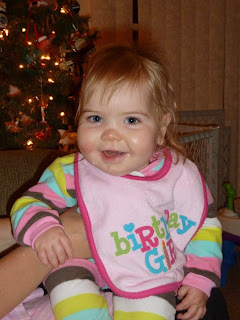 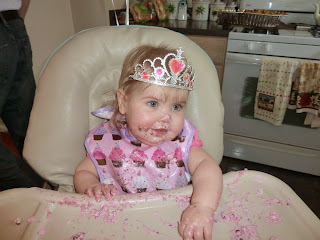 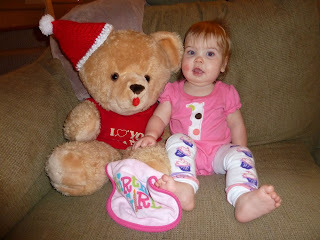 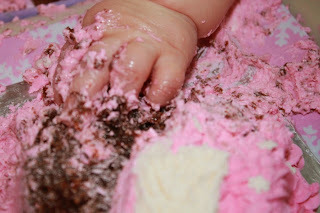 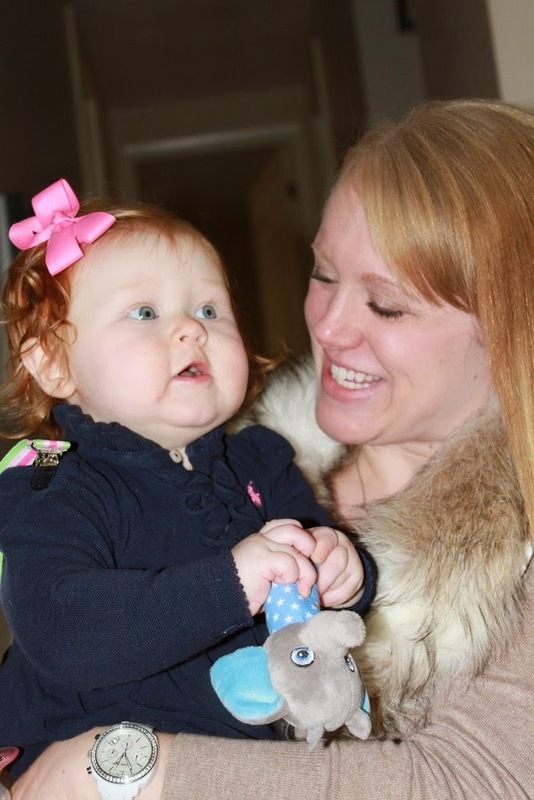 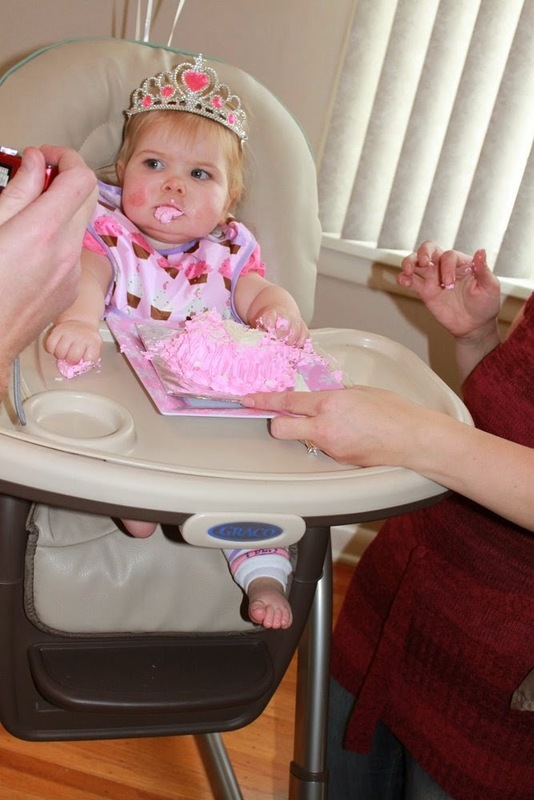 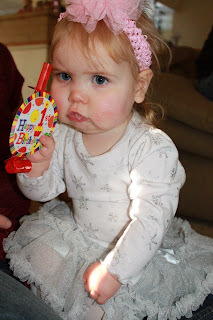 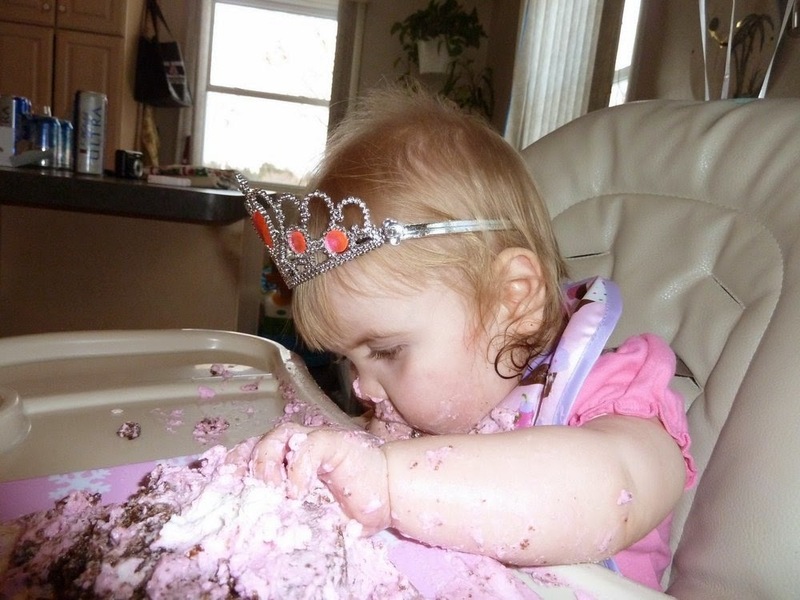 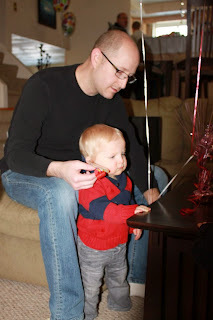 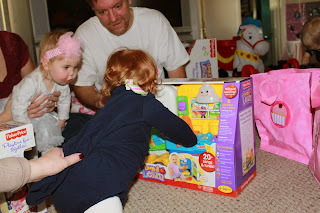 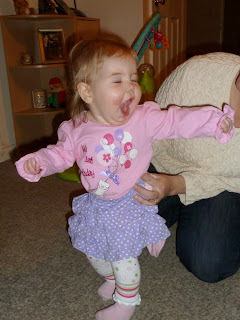 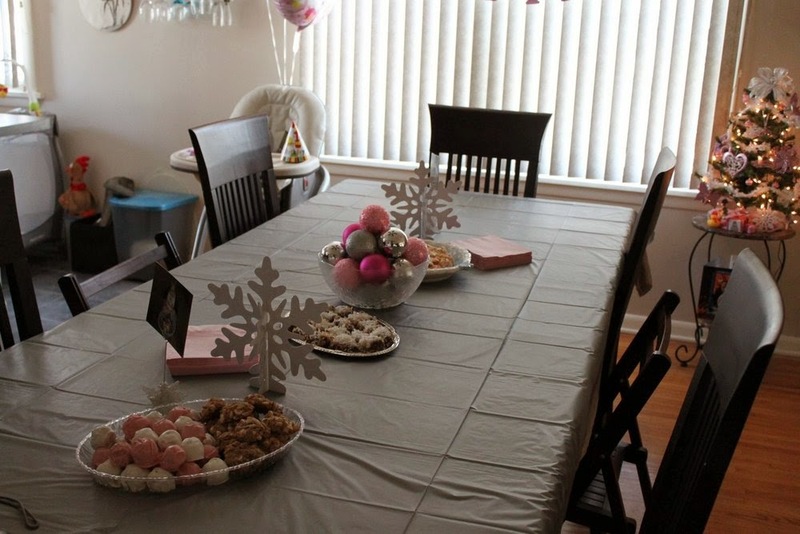 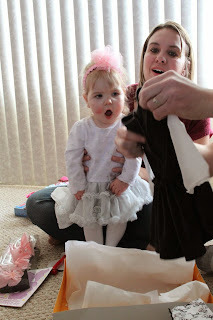 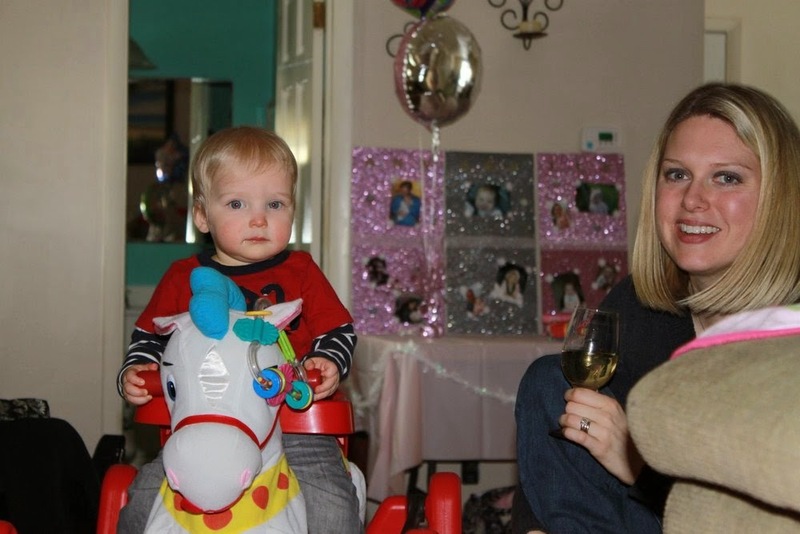 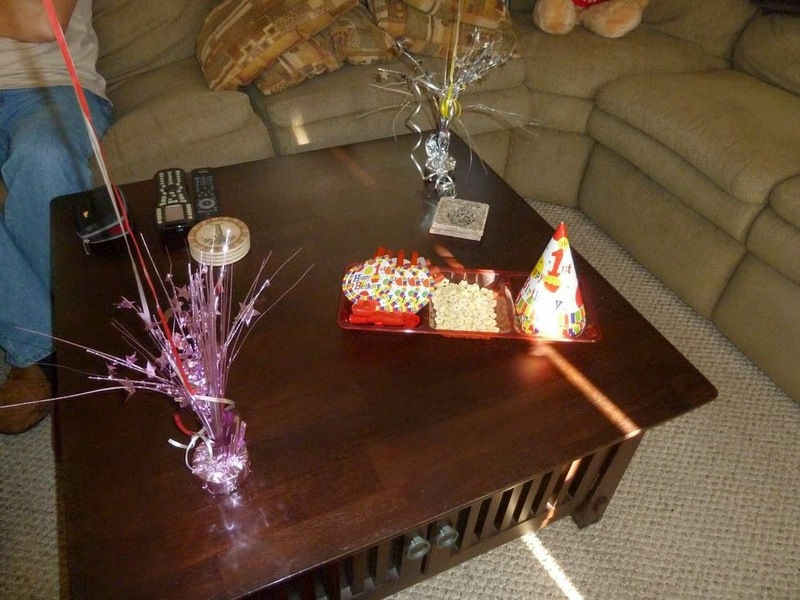 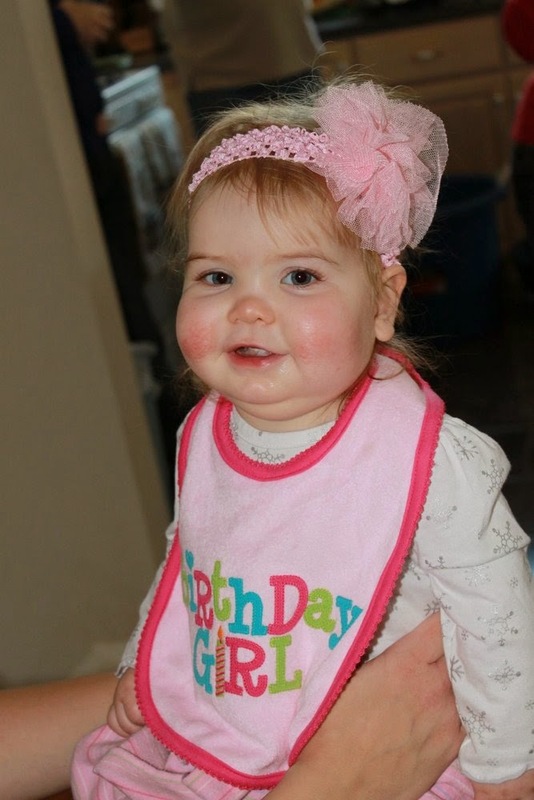 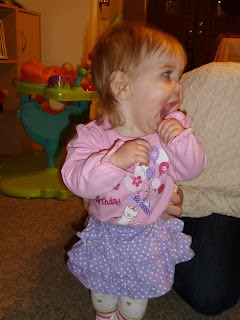 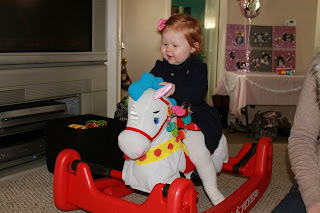 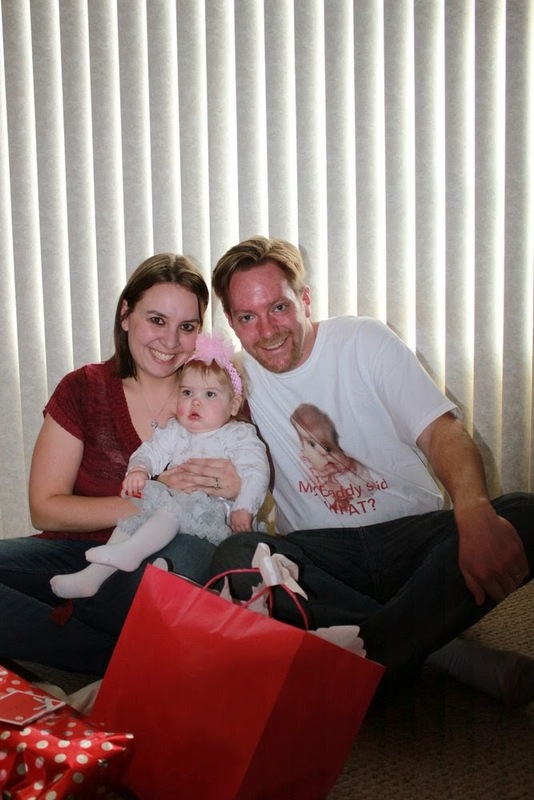 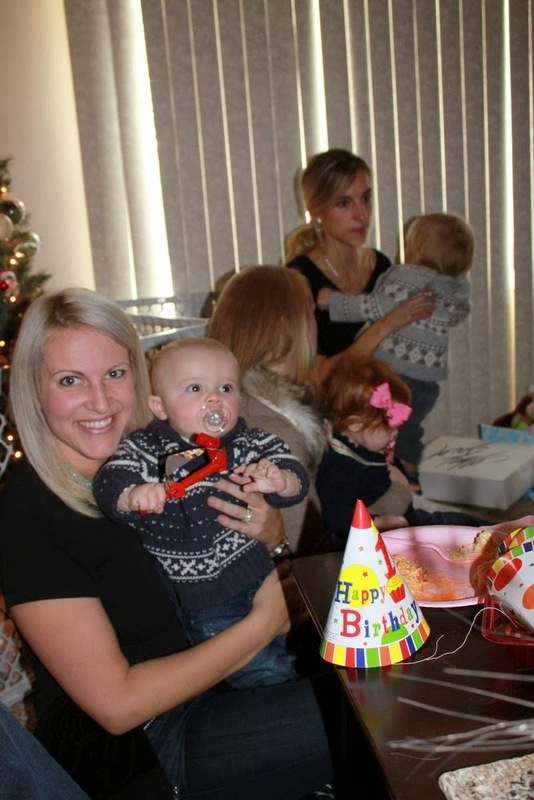 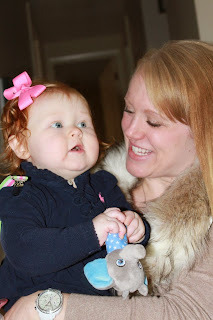 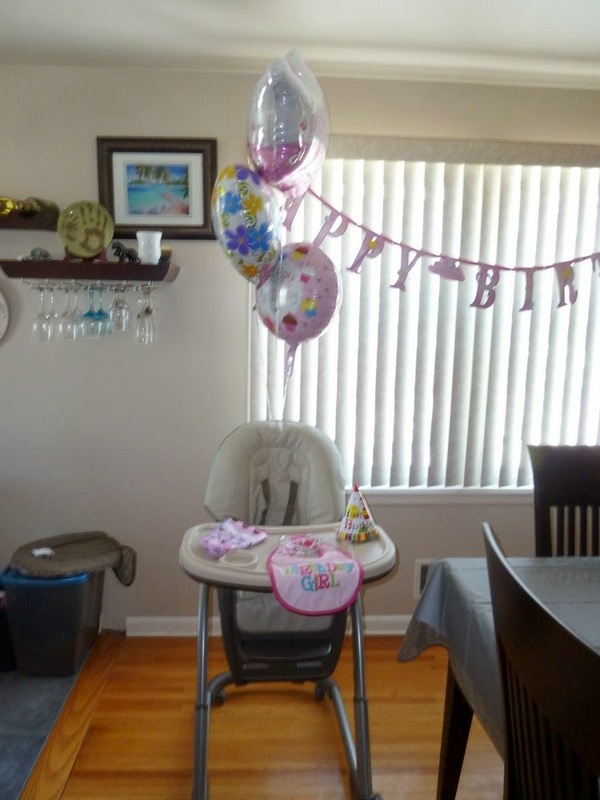 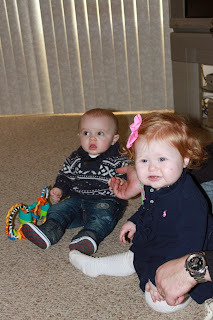 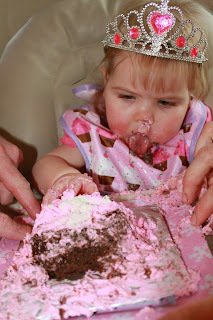 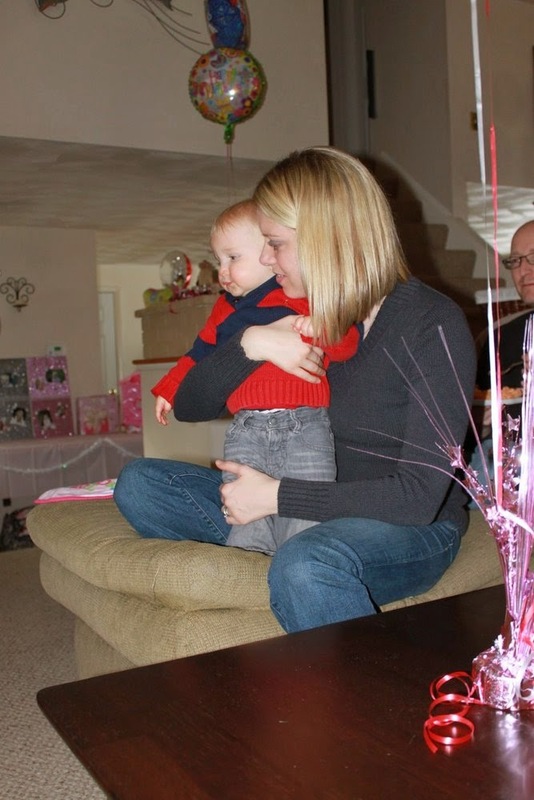 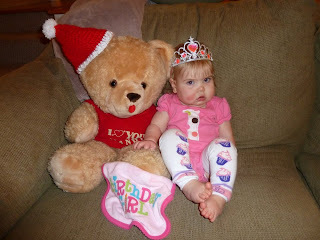 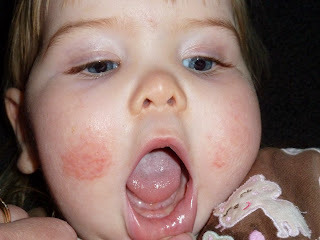 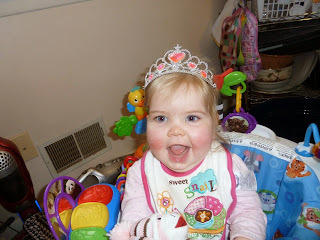 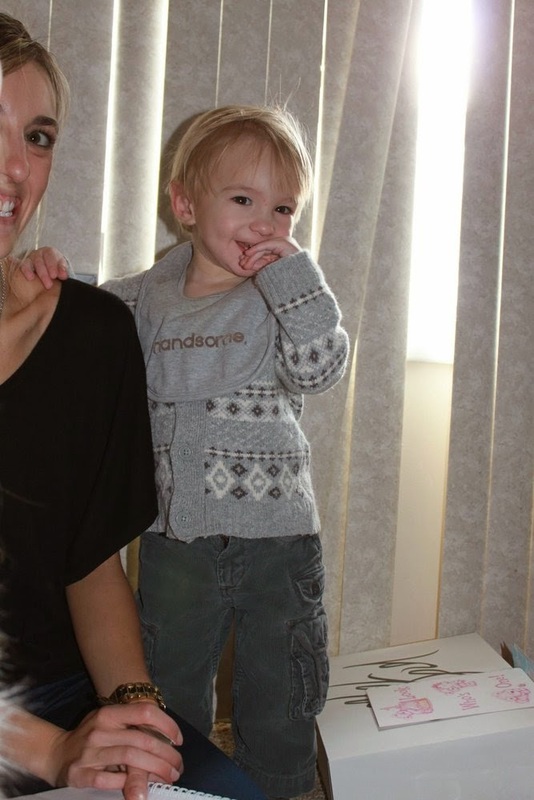 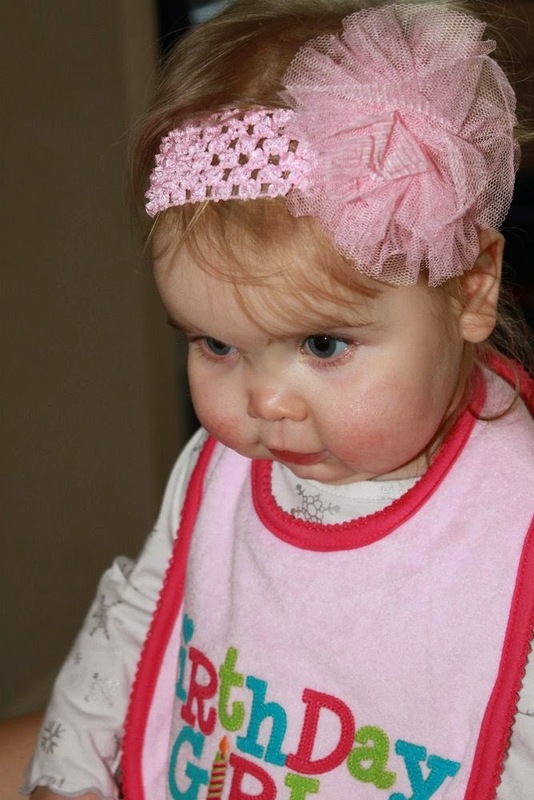 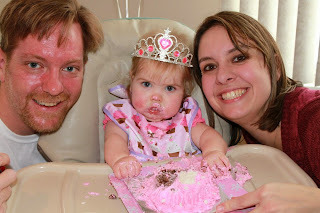 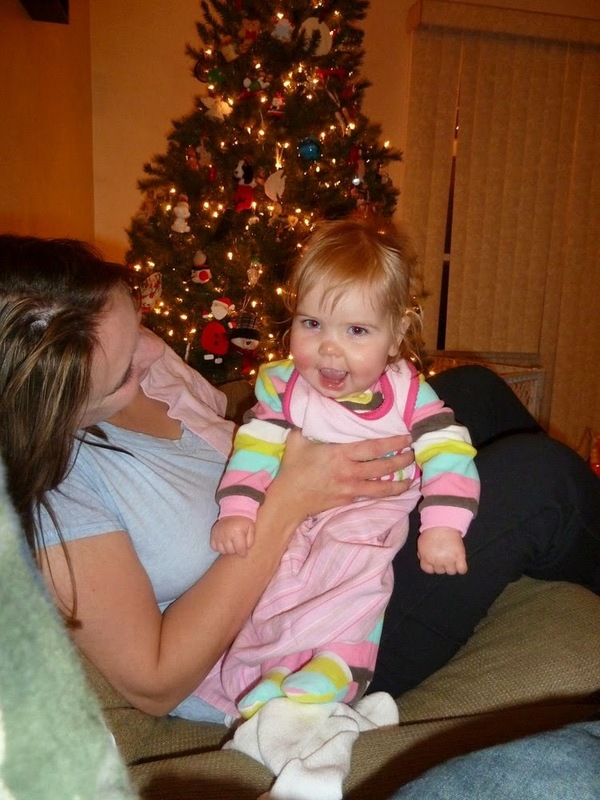 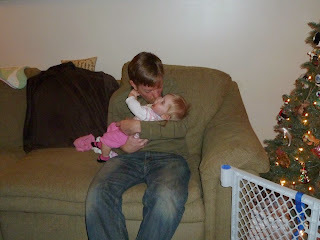 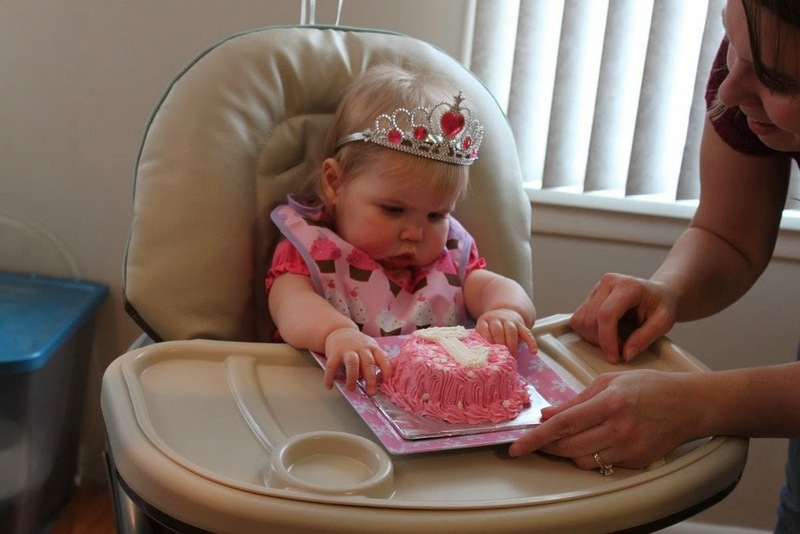 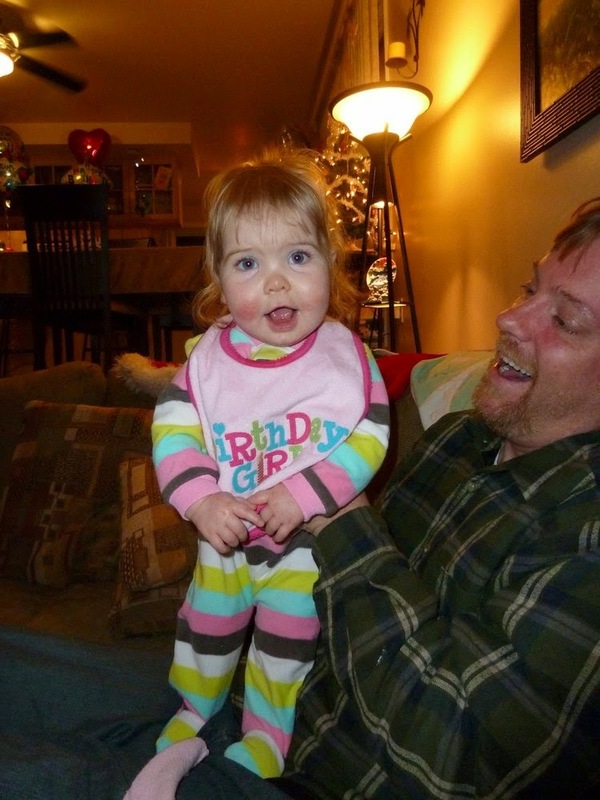 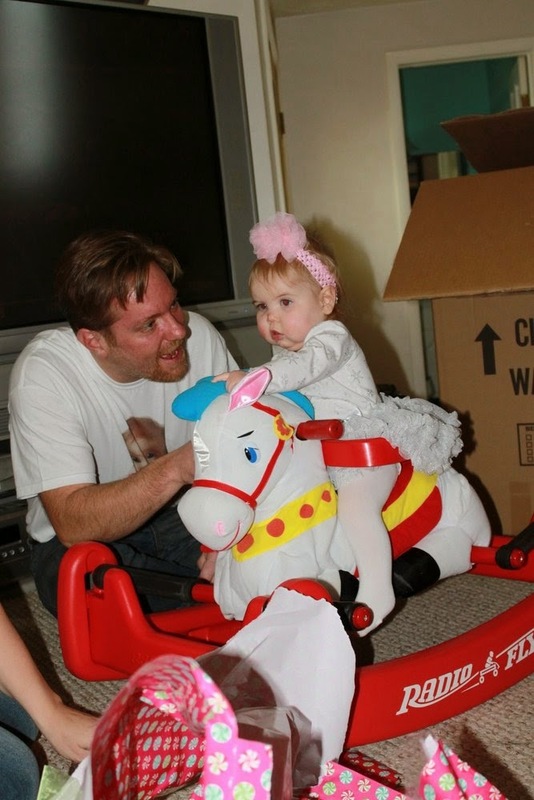 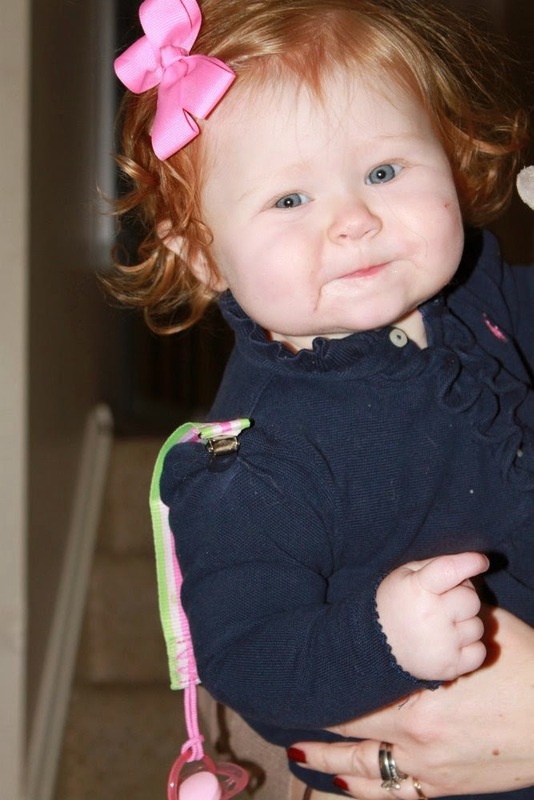 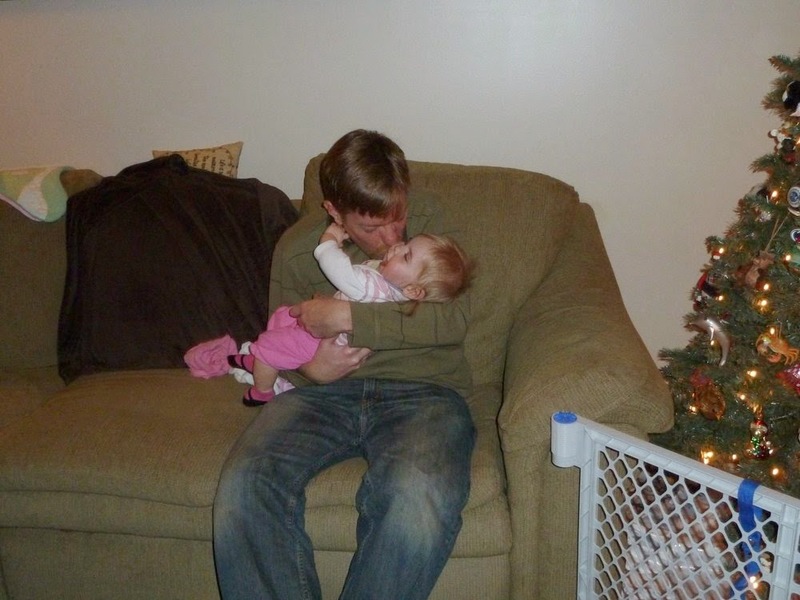 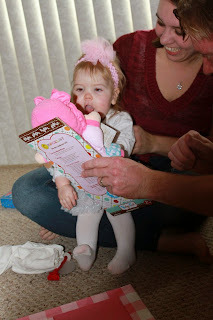 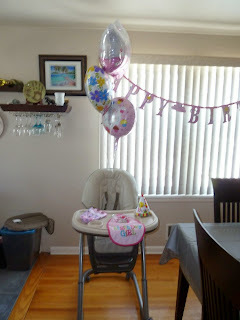 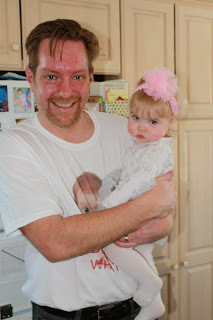 Annabelle's Blog: 1 year old !!! 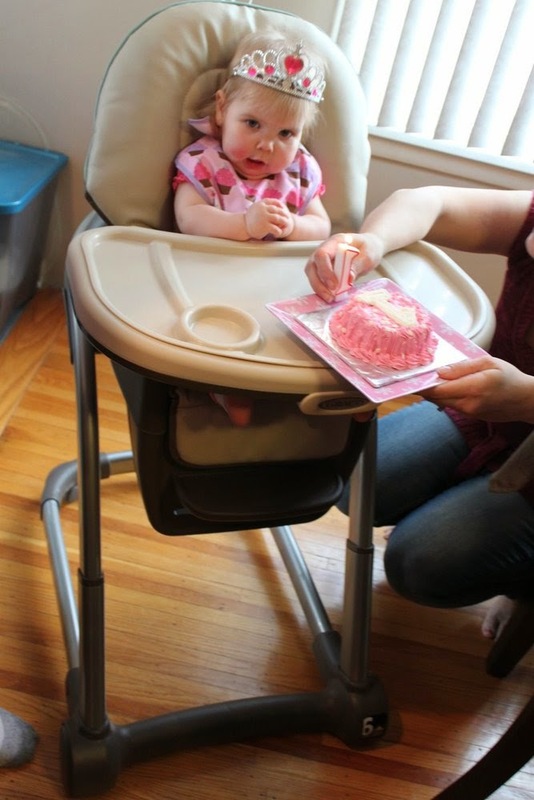 Annabelle had a fantastic first birthday! 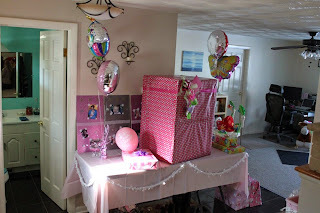 Everything was perfect, the only thing that could have made it better would have been if more friends & family could have come. 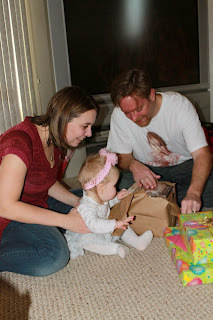 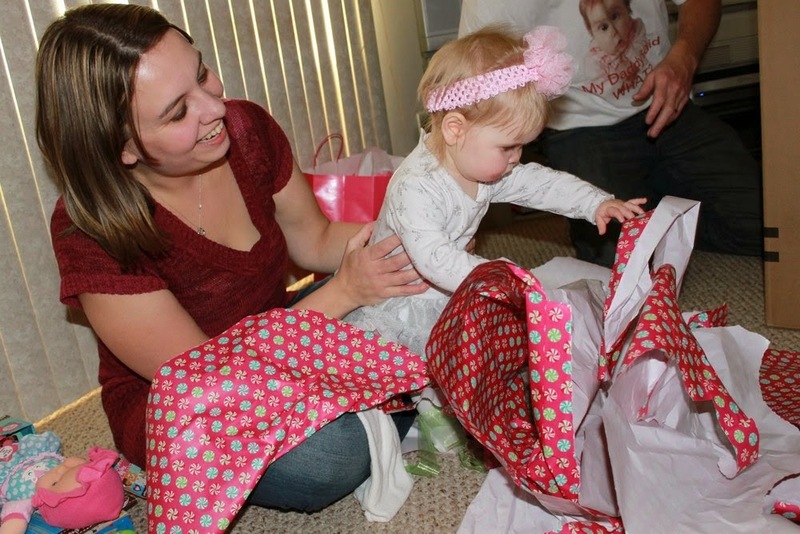 All of our family lives out of state so travel is difficult this time of year and because it was at our house we had to limit how many of Annabelle's (and my mommy) friends we could have over. 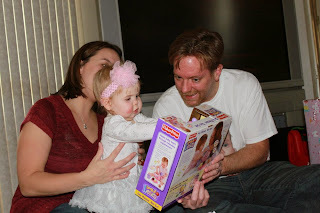 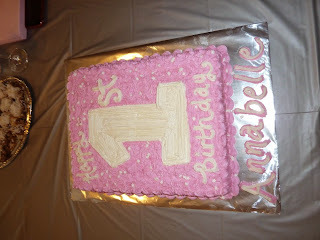 Annabelle got a ton of great presents and did great with her egg-free smash cake. I have to thank my friends for helping me with pictures, cake cutting and recording presents. 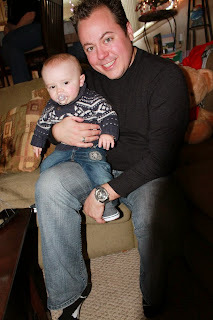 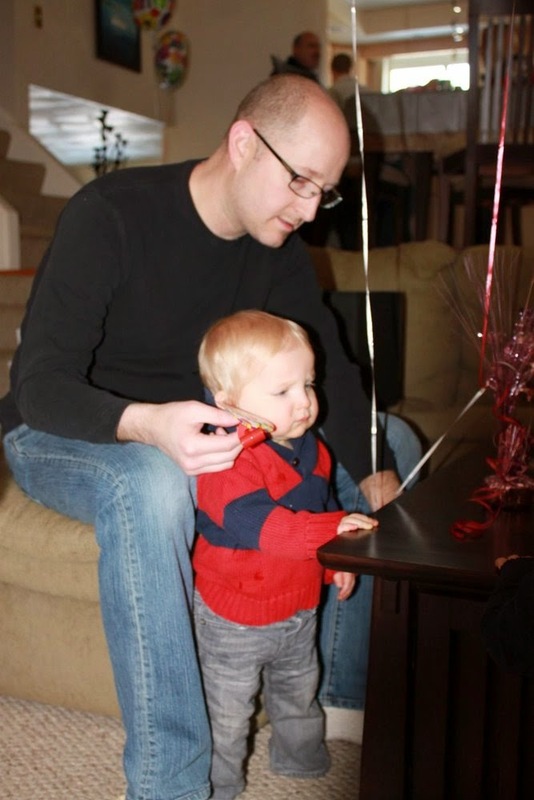 Because of all of your help, I was able to truly enjoy and celebrate the day!